Alexander Fisher (d.1838), ship's surgeon on the Arctic exploration ship H.M.S. Hecla, was the probable author of the anonymous 1819 Journal of a Voyage of Discovery to the Arctic Regions, also reissued in this series. 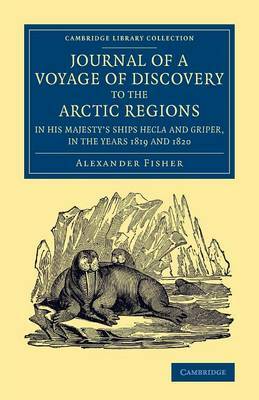 The voyage of the Hecla and Griper began in 1819, and Fisher's account was published in 1821, going rapidly into further editions (of which this reissue is the third). The intention of the expedition, under William Edward Parry, was to find the North-West Passage. It was unsuccessful in this respect (an account by Captain G. F. Lyon of Parry's expedition of 1821-3 is also available in this series), but Fisher's detailed and lively account claims that the existence of the passage has been so far proved that it cannot be doubted. He describes the people and wildlife seen during the voyage, as well as providing technical details of latitude, weather and currents.